Fieldstone Farm remains one of the largest and most respected therapeutic riding centers in the country. Since our founding more than 40 years ago, we have helped thousands of people of all ages and with all types of challenges achieve what they thought was impossible. Children have taken their first steps after riding our horses. Others have said their first words and become inspired to learn. And all students and their families have found hope, joy and acceptance, as well as a welcome respite from the trials of living with a disability or special need whether it is autism, depression, anxiety, memory loss, sensory impairments, cerebral palsy, developmental delays or multiple sclerosis, among others. Horses give people with special needs the opportunity for emotional and physical healing in ways that may not be possible through traditional methods. Since our founding, our program has grown from just a handful of students, to approximately 1,000 annually as people have come to understand the therapeutic benefits of horses. Our program began with a focus on physical disabilities, but as we have learned more within the therapeutic riding industry over many years, we have expanded our offerings to serve all ages from two to seniors and a wide range of disabilities including those with emotional challenges, such as anxiety, depression and PTSD, among others. We also have an alternative high school on site that serves students who have experienced difficulty in a traditional high school environment. To date, 68 students have graduated from Gaitway High School. Our horses sense your needs without saying a word. They help turn fear into trust, anxiety into peace and sadness into joy. They feel if you are uncertain, unbalanced or weak and challenge you to become confident, balanced and strong. It is the intuitive power of our horses that help us transform the lives of our students and their families. 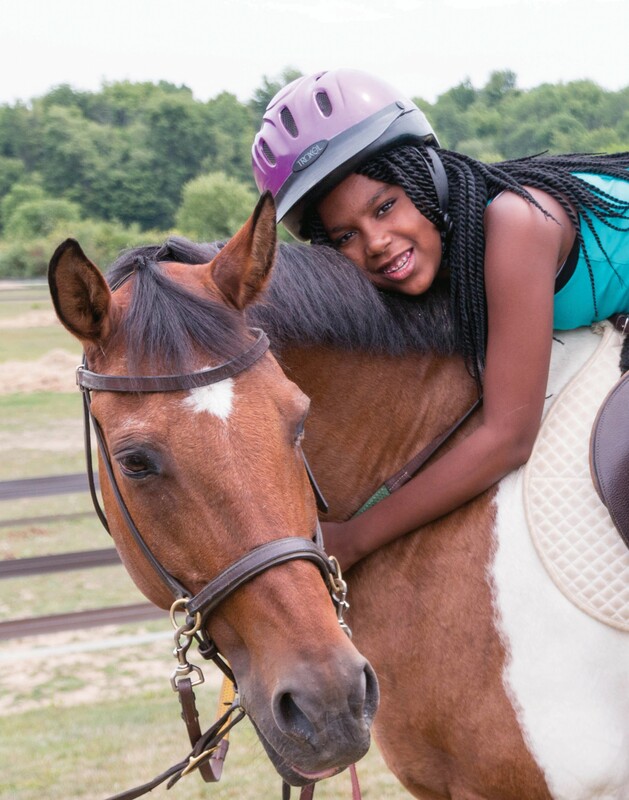 Fieldstone Farm engages the therapeutic power of our horses to discover and nurture the special abilities of individuals, families and communities.